Seven lemons. 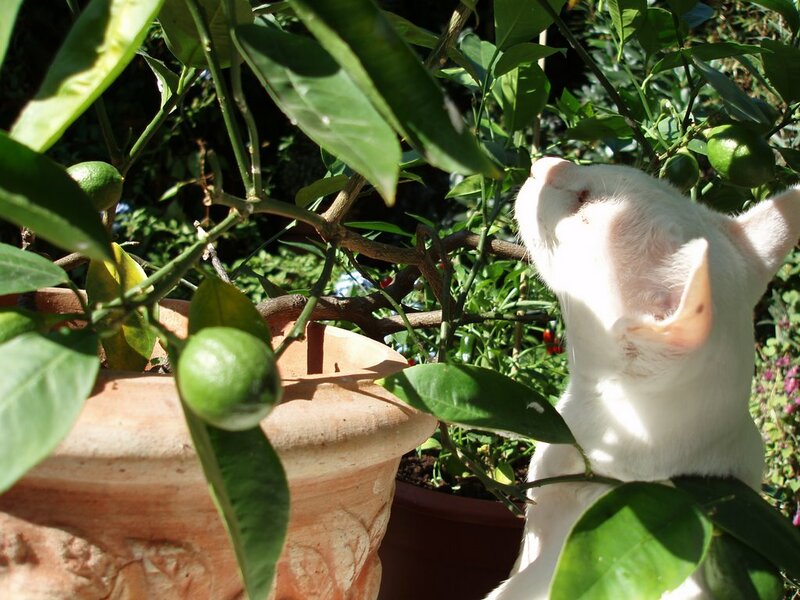 There are seven lemons on this little tree which in previous years has struggled to produce even one. Obviously this is all the fault of climate change and shouldn't really be happening in South London but I see it as compensation for that future rise in water levels. At least when my house is under ten feet of Thames flooding I will be able to look back at the happy summer when I grew lemons, oranges and olives in my back yard. Not sure what one really does with seven lemons.. a very small bottle of lemonchello perhaps? Shall we bring the G & T, then? No rush - the lemons are still more like small limes and we will need a bit more sun to get them good and lemony. Not Lemonchello please ~ its a waste of a good lemon. The Italians only ever put the remains of the glut of lemons into industrial spirit and dish it out to foreigners. Have you ever seen an Italian drinking this muck?? By the way you cannot buy Strega in Italy ~ something else that is only for export.